Cost overruns are a common occurrence in the construction industry. It’s far too easy at the mid-point of any project to misjudge billing against the actual status of the project. That’s where the Work in Progress (WIP) report comes in. The work in progress (WIP) report or WIP schedule is one of the most important reporting mechanisms in the construction industry. A WIP report is an excellent tool for risk management, benefiting not only the contractor but also third parties such as banks and surety companies. Past: A good WIP tracks past work against a profit analysis schedule. It is particularly helpful for large or bid spread jobs, measuring gross profit trends against the duration of the job. Present: WIP schedules provide real-time insight into estimated earnings versus current billings. The report compares present-day figures against expected costs and the percentage of completion, and ultimately, the profit earned to date by project. Potential: The WIP conducts a deep dive on all jobs in progress to determine those with the highest profit and losses. The report seeks to improve your cost benefits ratio by spotting under billing trends and changes in actual versus projected costs. You may also choose to include the expected date of completion and cost to complete by job, although they’re not crucial to a good WIP report. Your WIP schedule should measure the job percentage completed against the total contract value to come up with earned revenue to date. This can prevent running out of billable time before completing the project. It also lets you see if a job is falling behind or is in danger of a budget overrun. A WIP also predicts where costs are likely to be applied at the end of the project before invoices are paid. If a WIP is inaccurate, it’s garbage in, garbage out. Estimated numbers — or worse, handwritten, estimated numbers — and unintelligible WIP reports not only reduce the benefits of this crucial tool, but could actually harm your business in the long run. This damage can come in the form of overestimating profit or undermining the trust you’ve built with banks and surety companies. Another common mistake of WIP schedules is the timing of your internal bookkeeping. If you regularly update your WIP quarterly, but your accountant only adds indirect costs to projects annually, it looks like your projected profits take a huge nose-dive at the end of the year. Sure, you still have the same amount of profit at the end of the year, but it may harm your standing with a surety company and undermine their expectations about your business’s profitability. The success of a WIP report depends on keeping accurate cost records and consistent documentation. If your records are accurate, it takes accounting to an entirely new level, allowing accurate projections all the way to the end of a project. This foresight allows construction firms to shift gears throughout the project to maximize profitability, potentially saving thousands of dollars on every job. Understanding where you’re leaving money on the table is just as important as projecting the future financial state of the construction projects in your portfolio. 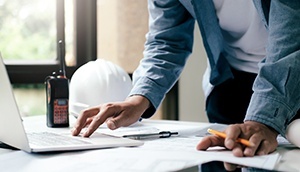 A WIP report does both, allowing construction companies to make faster and more accurate business decisions while improving underwriting analysis and risk. The WIP schedule has enormous ROI for construction projects, allowing companies to shift workflows throughout the building lifecycle and capture more revenue. It also helps lenders provide underwriters with more accurate data on which to extend credit. We can’t stress enough the value of WIPs to contractors — especially if your state or the project requires it. An accurate, easily understood WIP schedule is a necessary tool for any construction company. At Old Republic Surety, we partner with construction companies and accounting firms to help protect and maximize their investments. That’s why we are one of the nation’s top underwriters of contractor performance and payment bonds. Contact our network of nearly 4,000 independent insurance agencies to discuss how your CPA can make use of WIP schedules to improve your bottom line.